This is a Nonconsecutive Fillomino puzzle. Part 8 of 12 in the Melon’s Puzzle Zoo preview series. Answer Entry: Enter the units digit of each number in the marked rows and columns. 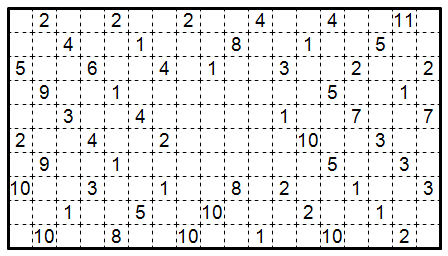 For instance, if a 4 or 14 appears in the row or column you would enter 4 for it. 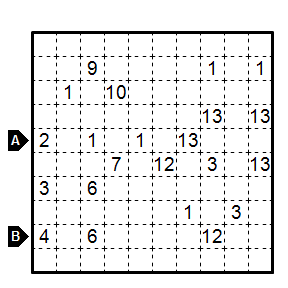 This is a Friday Fillomino puzzle, with a twist. 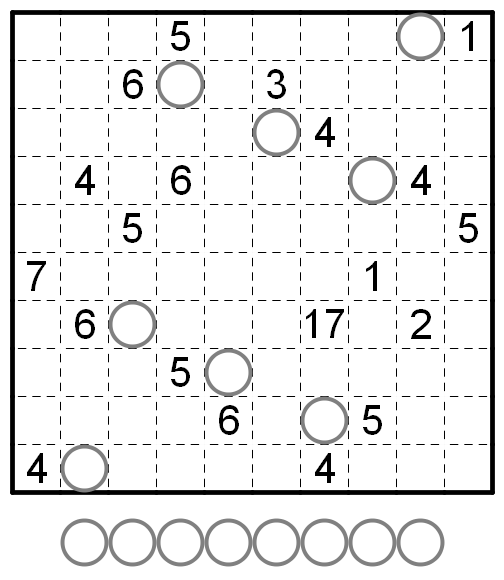 In addition to the usual rules, any two polyominoes whose sizes differ by one may not be adjacent to each other.